The beauty and warmth of real wood. 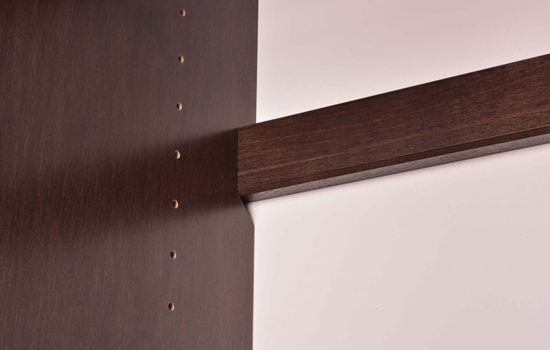 The material we use for the shelves and sides is a furniture grade ¾” veneer hardwood plywood. This hardwood plywood core is cross-banded in layers making it exceptionally durable and rigid--much more so than the melamine particleboard used by our competitors. All sides and shelves have front face edging made of solid Maple or Oak, depending on the finish you choose. 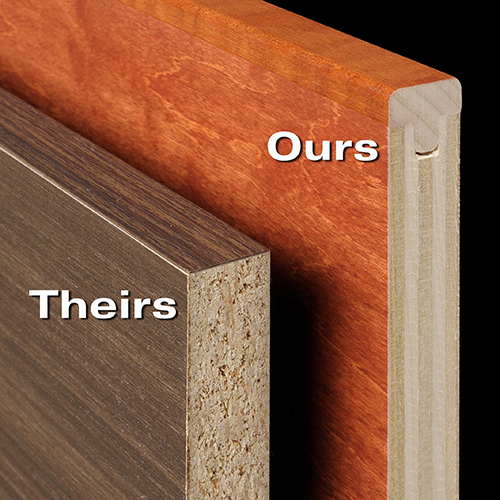 This solid wood edging is superior compared to our competitor’s plastic edgebanding - it will not flake or peel off. All drawer fronts, door frames, island tops and front face moldings are made of solid maple or oak. 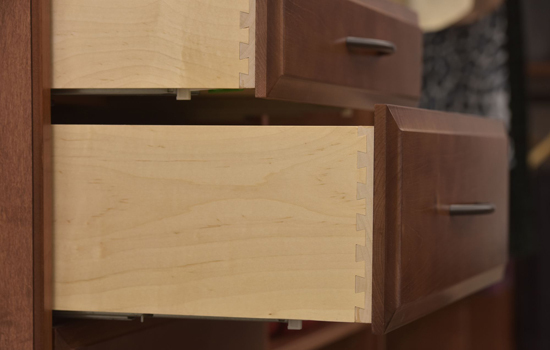 Drawer options include solid maple drawer boxes fixed together with French dovetails or laminate wood drawer boxes. Our wall-mounted organization systems are hung from 2” x ¾” solid wood hanger cleat. This solid wood hanger cleat is stronger and more sturdy than a metal rail. We will cut all your hanger cleats to the precise dimensions of your closet so that you don’t have to mess around with a saw or the mess that comes with it! Because we use real wood, every piece is unique and possesses natural features that create character. 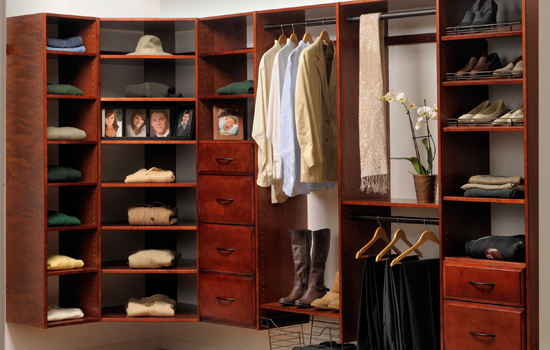 You will fall in love with your real wood closet.